Last Friday night The Boyle Sport Night of champions was once again one to be remembered by Kerry GAA and Kingdom Greyhound Stadium punters. The racing was fast and exciting, The Kerry GAA Football & Hurling Stars were extremely generous with their time and some great prizes were won! 6. Kilcurra Mia: Templenoe won â¬300.00. We wish to sincerely thank all the clubs for supporting this race and to those clubs in the final a mÃ­le buÃ­ocas for all the last minute information supplied. The Kerry GAA Supporters Club remembered the late Leo Griffin by sponsoring a race in his name at the Night of Champions. The Highlight of the night on the Racing card was the Boyle Sports Race of Champions. The race was an exciting one from start to finish and first over the line was from Trap 1 Paradise Maverick and the rest of the results of the race were as follows: 2nd Trap 3 Farley Joe, 3rd Trap 2 Ballymac Boxer, Trap 6 Rural Hawaii and Trap 4 Leave at dawn and last Trap 5 Boyles Sports Duke. â¢ 6th Prize: 1 Unit for Kerry County Committee Two year scheme. Paul Geaney Dingle. Special Family Ticket for 4 individuals to the Kerry Senior Hurling or Kerry Senior Football County Finals went to Paudie Dineen, Abbeydorney. The highlight off the racing field was the participation of the Kerry Football & Hurling players who were once again very generous with their time and mingled with the punters all night. It would not have been possible to stage this event without the support of the many generous sponsors, the Clubs around the county and their many members, the GAA public at large and of course Declan Dowling and his staff at the Kingdom Greyhound Stadium who host this very important fundraiser each year for the Kerry GAA Teams. Every donation towards the night is about much more than money. Itâs a way to show that we are willing and ready to support the Kerry teams as we have done in the Kingdom for over 100 years. MÃ­le BuÃ­ochas to everyone involved. On this Friday evening at the Kingdom Greyhound Stadium in Tralee the very popular Boyle Sports Kerry GAA âNight of Championsâ will take place. This is a chance for Kerry GAA supporters of all ages to mingle with their county football and hurling heroes. The buzz is always electric on the night and the occasion has become one of the big Kerry GAA social events of the year. The addition of a live broadcast by Radio Kerry and Weeshie Fogarty from the Stadium will ensure we have a very entertaining night on Radio Kerry as well! Posters and handouts will be available for juveniles. The staging of this event is of course a huge logistical challenge and it would not have been possible without the support of the many generous sponsors, the Clubs around the county and their many members, the GAA public at large and of course Declan Dowling and his staff at the Kingdom Greyhound Stadium who host this very important fundraiser each year for the Kerry GAA Teams. It is important to point out that all funds raised from the Night of Champions goes to the Kerry teams training fund â both hurling and football. Next Friday night at The Kingdom Greyhound Stadium Tralee is the annual âNight of Championsâ at The Kingdom Greyhound Stadium Tralee. Young and old Kerry GAA supporters mingle with the Kerry GAA Football and Hurling Stars and the Buzz is always electric on the night and a night not to be missed! The addition of Radio Kerry and Weeshie Fogarty live at The Kingdom Greyhound Stadium will ensure we have a very entertaining night on Radio Kerry as well! The staging of this event would not have been possible without the support of Sponsors, Clubs, Members, the GAA public and Declan Dowling and The Kingdom Greyhound Stadium who host this very important fundraiser each year for the Kerry GAA Teams. 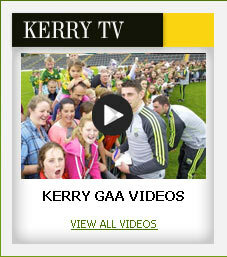 All monies from the proceeds from The Night of Champions goes to the Kerry teams training fund. The Brehon Hotel Kerry GAA Club Sweep has once again been supported so well by our Clubs and Units. It has been a great few weeks leading up to Final race on Friday next the 27th May . It is exciting to see who the ultimate winner will be. There are Eight clubs left and each one is in with a chance of scooping the â¬1,000.00 prize for their club. Kerry GAA Supporters club will remember the Late Leo Griffin by sponsoring a race at the Night of Champions in Tralee greyhound track on May 27th. Last Monday night at the supporters monthly meeting, The Committee presented the race sponsorship Cheque to Christy O'Connell the Chairman of The Boyle Sort of Champions Organising Committee. The Kerry GAA Supporters Club have been stalwarts' for the past 26 years in Supporting Kerry teams on and off the field. They have been the back bone in supporting Kerry teams fundraisers over the years and we sincerely thank this very dedicated voluntary group for their great support over the years and in particular for the Kerry GAA night of Champions. 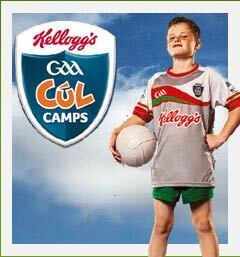 The Boyle Sport Kerry GAA Night of Champions takes place in two weeks -Friday 27th May. 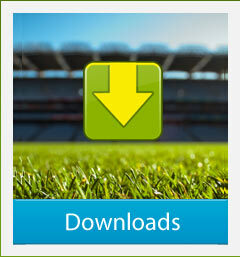 The Annual Gathering of All Kerry GAA supporters is a night for every Kerry GAA supporters Diary. The Kerry Senior Footballers & Hurlers will be in attendance and Radio Kerry with Weeshie Fogarty is broadcasting live from The Kingdom Greyhound Stadium on the night. Last Friday night The Quarter Final of The Brehon Hotel Club Sweepstake 2016 heats took place .There are 25 Kerry Clubs and Units vying for a final spot in The Kerry Club Sweep Stake next Friday night. On Friday last at the Kingdom Greyhound Stadium there was great racing and excitement for the Club Supporters who qualified for the semi finals. Congratulations to the 25 clubs and Units listed below who are still in with a chance of winning the overall prize of â¬1,000.00 . The runners up in the Final will also be given prize money:, 2nd â¬600, 3rd â¬400, 4th â¬300, 5th â¬300, 6th â¬300. All monies from the proceeds from The Night of Champions goes to the Kerry teams training fund and we have had a very successful and fulfilling years following the Green & Gold. Progress and Success for our Inter county teams is not inevitable. In Kerry we make a choice as a County to train and care for our teams and players to the highest standard. Kerry has made great progress over the past number of years with our Minors winning back to back All Irelands, our Senior Team reaching The All Ireland & AFL Finals. Our Senior Hurlers are playing in Division 1B of The AHL and have just retained that status for 2017. The joy we all get from following Kerry teams cannot be underestimated. Not only those of us lucky to go to the games but also others who watch or listen to the games. 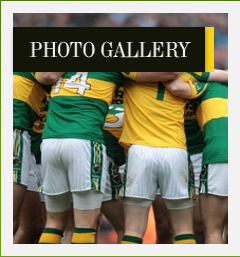 It is part of who we are and we are proud of our Kerry teams. We hope that once again you will be able to support the Night of Champions. Passes and Programs for next Friday night' semi finals of The Brehon Hotel Club Sweepstakes at The Kingdom Greyhound Stadium will be handed out at the Kingdom Greyhound Stadium on the night. Members of the Night of Champions Committee will be in the Car Park directly in front of the gate with programs and passes from 7pm until 8pm. All Club represented will be issued with a number of passes and a program. Any queries in relation to same please ring Maureen O'Shea at 087-9795220. Thanks to all our Clubs, helpers, sponsors and supporters for all you do in ensuring our Kerry Teams are well prepared for inter county action. We sincerely thank all our clubs and Units for supporting the Kerry GAA Night of Champions 2016 and especially for supporting The Brehon Hotel Club Sweepstake which has become a very popular race at the Kerry GAA Night of Champions each year. Last Saturday night we had the first Round of The Brehon Hotel Kerry GAA Club Sweepstake. The Opening 8 heats produced some lively racing and all the spectators had a great night at The Kingdom Greyhound Stadium. The Clubs/Units listed attached have been twinned with a dog that is running in the 4 heats on next Friday May 13th In The Kingdom Greyhound Stadium. Passes and Programs for Friday nights Club Sweepstakes at The Kingdom Greyhound Stadium will be handed out at the Kingdom Greyhound Stadium on the night. With Thanks to all clubs and Units for their support and Best wishes to all clubs represented on Friday night. The Kingdom Greyhound Stadium and Kerry County Committee are delighted to announce the return of the Race of Champions racing spectacular to the Kingdom Greyhound Stadium this May. Now in its 8th year, the event will take place in the Tralee venue on Friday 27th May. BoyleSports have returned for their fourth as title sponsor of the Race of Champions, with an impressive â¬15,000 on offer to the winner.
" We are delighted to continue with our sponsorship of the Race of Champions at The Kingdom Greyhound Stadium. With the race being such a prestigious event in The Irish Greyhound Calendar, there is no doubt: The Race of Champions will have an abundance of class acts on show". He added "BoyleSports continue to support major sports in Ireland with The BoyleSports Irish Greyhound Derby and The BoyleSports Irish Greyhound National two of the country's renowned sporting events now sponsored by Ireland's largest independent bookmaker"
The event serves as the major fundraiser for the Kerry GAA Teams training fund. while showcasing how the greyhound industry plays a pivotal role in the local community. Patrick O'Sullivan, Chairman of Kerry GAA said at the launch " I welcome the 8th year of this very successful fundraising venture in association with The Kingdom Greyhound Stadium and The Irish greyhound Board. I thank BoyleSports for their generous sponsorship of the Race of Champions and I wish to thank all the other race sponsors and contributors for their support including all our own GAA Clubs. Clubs and supporters have made this a night to remember in the past and I look forward to everyone having a very successful and enjoyable occasion on the 27th May." The semi finals of the BoyleSports Race of Champions take place on Friday 20th May and the night itself will feature open class finals over 525, 550 and 570 distance. 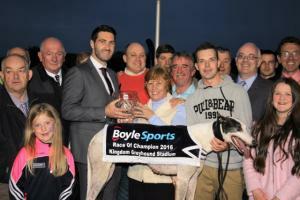 "We are delighted to welcome BoyleSports as returning sponsors of The Race of Champions, the highlight of our racing calendar here At The Kingdom Greyhound Stadium,. Once again we will be joined by The Kerry County Committee and GAA players on the night, on what is an important fundraising event for their teams training fund, so I ask the community to get behind them and come along for an entertaining night where we will showcase all that is great about Kerry Sport". Alongside the action , there will be a best dressed lady competition and the night is also billed as a Family Fun Night with a Bouncy Castle and face painting for the children. Tickets can be purchased from all GAA Clubs and on the gate on the night and are priced at â¬10.00 per person. Children Under 12 are free,. Tonight the first round draw took place at The Kingdom Greyhound Stadium Tralee. There are 60 dogs in the first round of the club sweep and each dog has been paired with one or two clubs, District Committee etc. Click Here for a full of the dogs and the clubs/units they are paired with. The first round heats take place on Saturday 7th May at The Kingdom Greyhound Stadium. Passes and Programs for Saturday nights Club Sweepstakes at The Kingdom Greyhound Stadium will be handed out at the Kingdom Greyhound Stadium on the night.